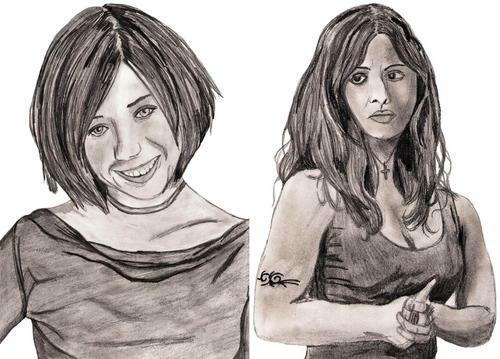 Willow and Faith Drawing. . HD Wallpaper and background images in the Buffy the Vampire Slayer club tagged: buffy the vampire slayer willow faith. This Buffy the Vampire Slayer photo contains picha, headshot, and closeup. There might also be kuvutia, rufaa, hotness, mvuto, and playsuit.